The Moto 360 Sport is Motorola's take on Samsung's Gear S2 (which is a Sport version in and of itself), but Motorola set its smartwatch back from being a success with the watch's $300 price tag. Around the time Motorola released the 360 Sport, Samsung's Gear S2 had started dropping in its price across the board -- both in retail stores and online. And the last thing you want to do is compete with a device like the Gear S2 but have a high price tag that throws off users. Well, a $300 price tag may sound like too high of a mountain to climb...but how about a 24% price drop? The latest on the Moto 360 Sport is that Amazon has discounted its price from $300 down to $226.51. That price is still not the best for a device that should've never cost $300 in the first place, but the price drop means that it isn't long before a new Moto 360 Sport Second Edition will be announced. 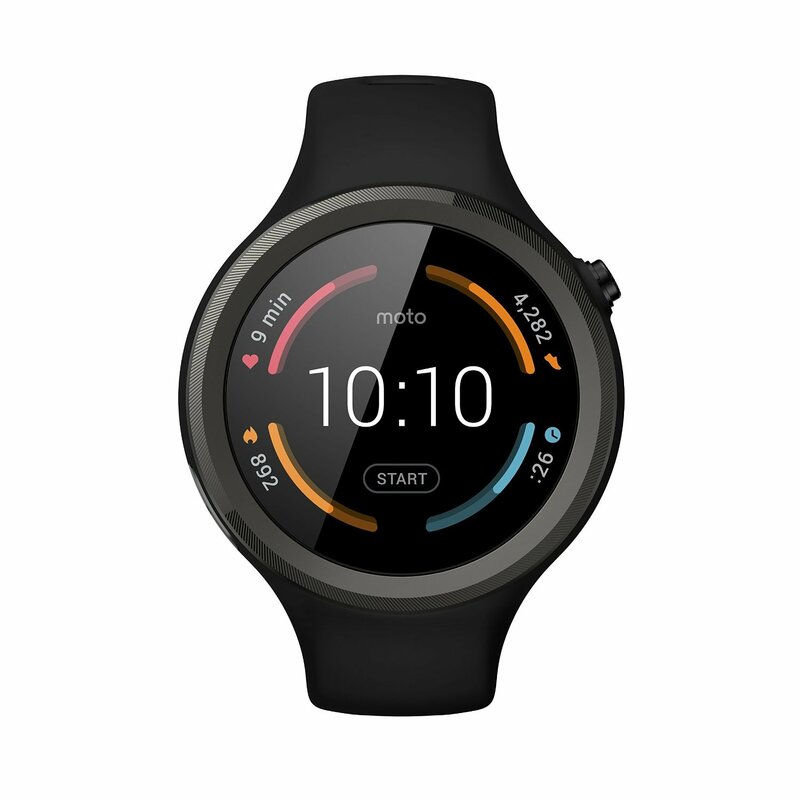 For those who are interested, the Moto 360 Sport features a 1,37-inch, AnyLight Hybrid Display with a 360 x 325p screen resolution and Corning Gorilla Glass 3 for durability, a Qualcomm Snapdragon 400 processor, 4GB of storage, 512MB of RAM, and a 300mAh battery (which matches the same size as that found in Samsung's Gear S2). The Moto 360 Sport is IP67 water and dust resistant so that your watch can survive 3 feet of water for up to 30 minutes. It doesn't match the IP68 water and dust resistance of the Gear S2, but it should do the job for most consumers. The Moto 360 Sport runs Android Wear, Google's wearables platform that is a watered-down version of Android as we know it on smartphones and tablets. Outside of hardware, it's hardly indistinguishable from a number of other devices on the market. Still, some athletic or fitness lovers will want to have this to maintain their active lifestyles, but others will prefer the more elegant Moto 360. For those who want it, you can head on over to Amazon's page here. Still, the Moto 360 Sport will appeal to some who have been holding out for more affordable prices. What do you think? Are you excited to see this watch discounted? Plan on picking one up? Let us know your thoughts in the comments.